Botox is FDA approved. It essentially attaches to the muscle, preventing it from contracting as it normally would. I would like to try Botox. Do I need to have a dental issue in order for Dr. Barry or Dr. Love to administer Botox to me? Your results from your Botox injections last an average of three to four months. We can see how your results are holding up and suggest another time to come in for a refresher based on your appearance and what you are aiming for. We can even set up an ongoing treatment plan to pre-schedule your visits so you are on top of your Botox and keep looking beautiful. Every patient’s results will vary, so we will see how your results progress and advise on a case-by-case basis. How is Botox used for dental treatment? What sorts of issues can it relieve, reduce, or get rid of? Botox injections are used for patients who experience pain from TMJ (temporo-mandibular joint disorder), orthodontics, dentures, teeth clenching, and teeth grinding (bruxism). The stress, tension, and soreness that can result from these dental-related conditions can result in facial pain and headaches. The areas that are affected are treated with Botox and many patients find considerable relief as these points are “relaxed” by the injections. 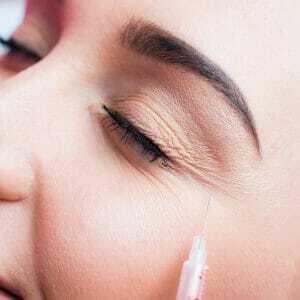 Botox is administered via injection (a shot), so you will feel the prick of the needle. But the process is quick and any pain or discomfort should go away quickly. Depending upon the reason for your visit and your level of sensitivity, we can possibly provide a numbing agent to the area before administering the Botox injections. Most people can tolerate the few seconds of pain, especially when the rewards are so worth it. Every patient is different and most do not experience any side effects of note. But there are certainly situations related to side effects that are not to a patient’s satisfaction, and we will monitor any signs of side effects with you. Contact your dentist after your Botox treatment if you are experiencing anything out of the ordinary including droopiness of the skin or muscles and pain at the injection site. And if you have any questions or concerns at any step before, during, or after the process, don’t hesitate to give us a call so we can help you – 614-333-9498. Are you interested in receiving Botox, be it for cosmetic reasons or to alleviate pain or discomfort associated with your dental/oral health? Lifetime Dental Health is a safe place to get Botox injections. 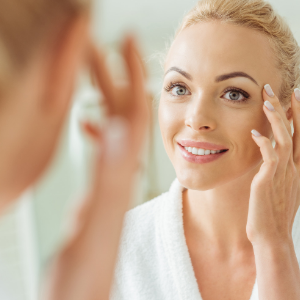 Even if you are hesitant to give it a try, the fact that it is not a permanent solution means you can give Botox a chance and see if you like the results or if it works for you. There is no lifelong commitment or concern that you will look “overdone” or unnatural (when it comes to the popular cosmetic aspect of its use). We know what we are doing, and always use Botox properly, modestly, and professionally. Think it over, do your research, discuss with others who’ve used Botox, and talk to Dr. Barry or Dr. Love about this alternative treatment during your next appointment. More and more people are turning to Botox for a world of reasons. You won’t be alone or a “guinea pig.” There has been a great deal of research done on the effects of Botox, and plenty of people have been thrilled with the remarkable results. Perhaps you will be the next person who can consider themselves pro-Botox!